Sabrina inherited her Aunt Mim�s magic, and she in turn had passed it down to her daughters, Piper and Cara. Piper and Cara had taken to magic like ducks to water. (Their abilities began to manifest as children). Aunt Mim�s close friend and confidante, Avery Goodspeed, knew that Sabrina had the trait that Mim had tried to help Patience, Sabrina�s mom, come to terms with. But Colin, Sabrina�s dad, didn�t believe in magic and took Patience and Sabrina (a/k/a Pamela) away and never allowed Mim to visit. He offered his help in training Sabrina to not only develop her skills, but to control them and use them in defense of her family. The home they moved to was more than they could have dreamed of�the view, the d�cor, the amenities! Four bedrooms including a nursery, a master suite with a 4-piece ensuite, 3 bathrooms, fully-equipped kitchen, attached garage, pool and spectacular patios, and a stable for the horse that Cara has always wanted! If you are interested, I have the end of this story at the end of my post. Enjoy! 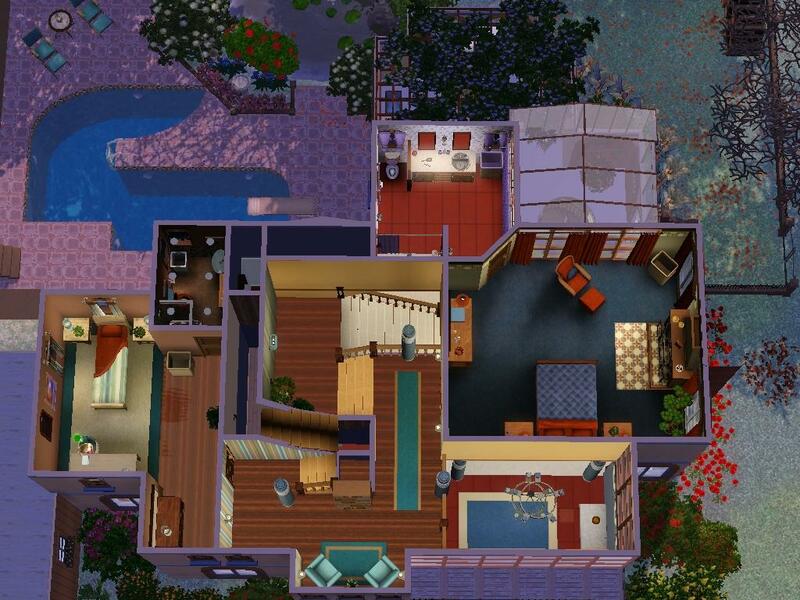 The 3rd floor has the master suite, nursery and 3rd bedroom with bath. There is a desk and computer in the hallway. 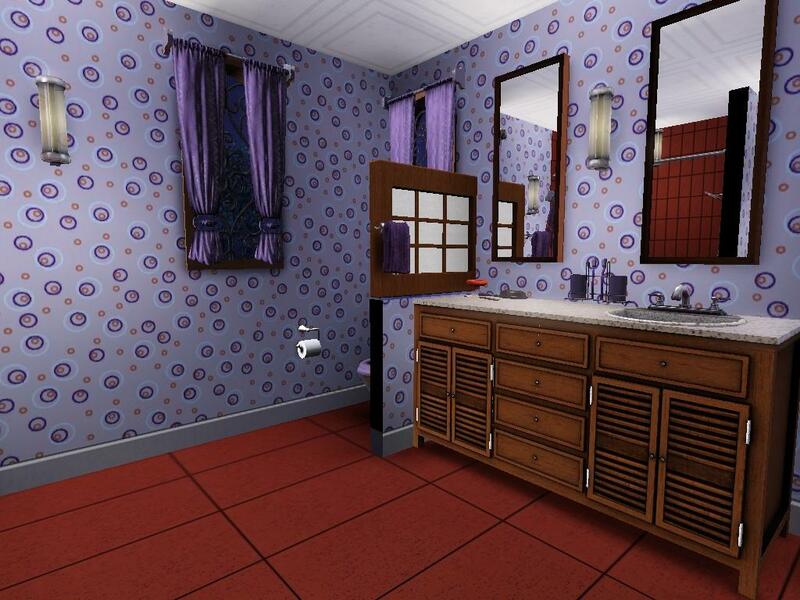 I used Morphead�s Gleam rugs for the wood floors. Thank you for these wonderful floors! 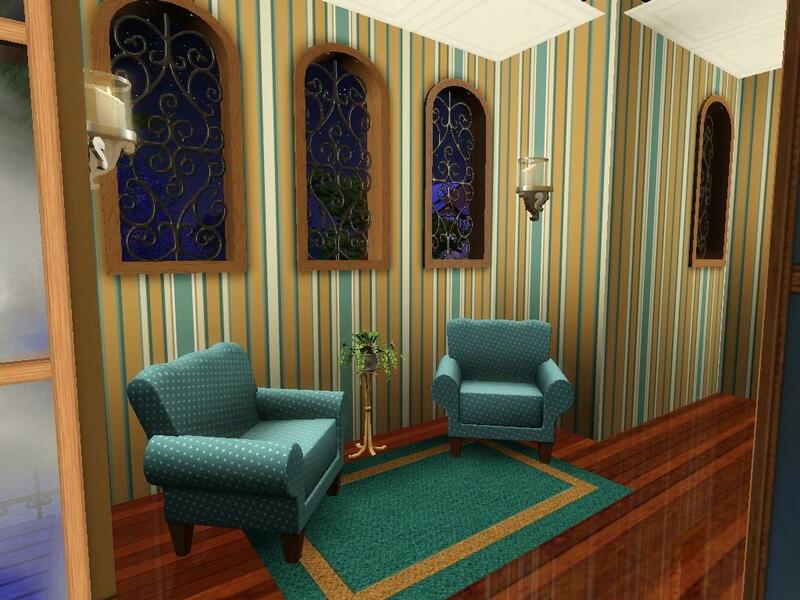 The 2nd floor has 2 bedrooms, 2 baths, and a small reading nook. 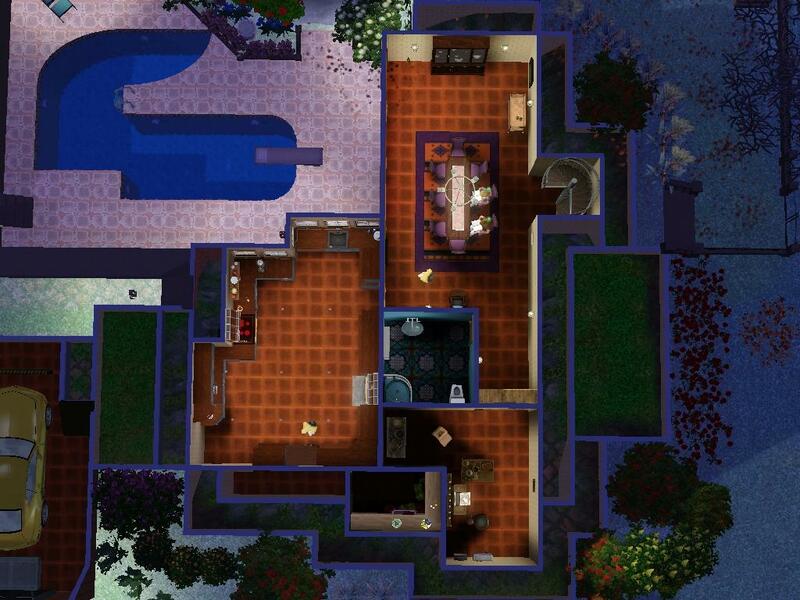 It also has an open area looking down to the 1st floor entry. The main floor includes the living room, and � bath with laundry. 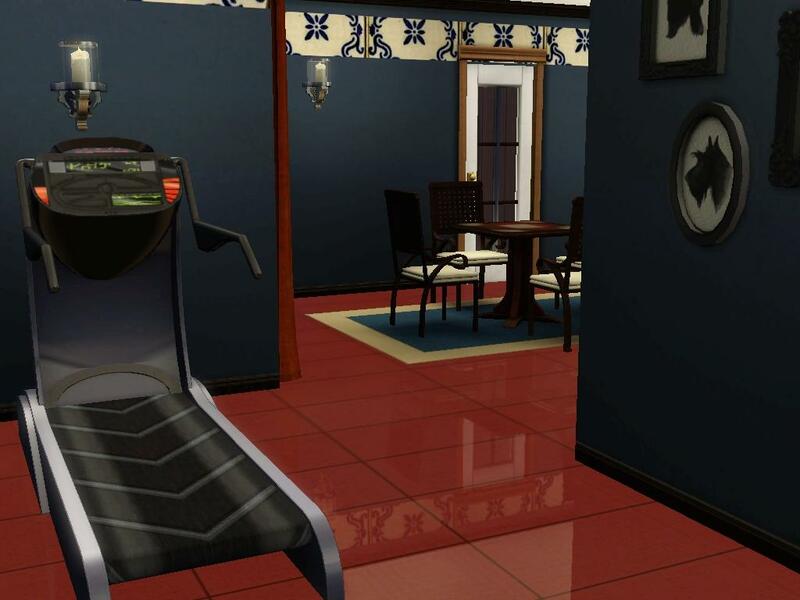 The bonuses on this floor are the exercise/game room and covered patio, or lanai as some call it. The ground floor boasts a gourmet kitchen, formal dining, storage and magic rooms. The dining room opens to the patio and pool, giving it an open and airy feel. I would like to thank the usual people involved with this challenge for pushing me to my limits in creativity and building skill�Qbuilderz for this amazing challenge, the judges for their herculean efforts in judging, and last but certainly not least, the other creators and designers in this contest for answering so many questions for beginners like me. I apologize that the pictures are not perfect, but this is my 2nd build for this challenge. The first was finished and pictures taken, but found that the stairs were not traversable and showed they weren't working. I was unable to "fix" them, so had to start over at that point. 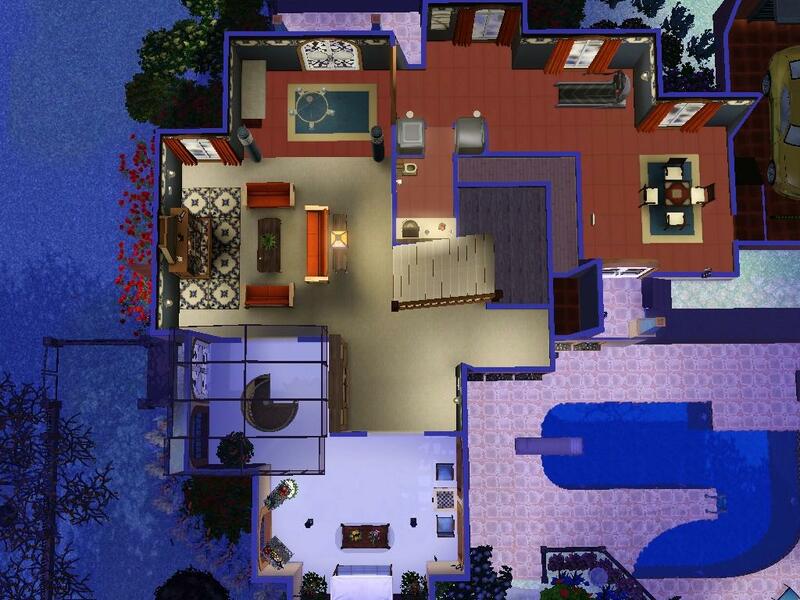 I drew inspiration for this build from the Monte Vista World after setting it in every other world within Sims 3. It seemed the best fit for this final challenge build. 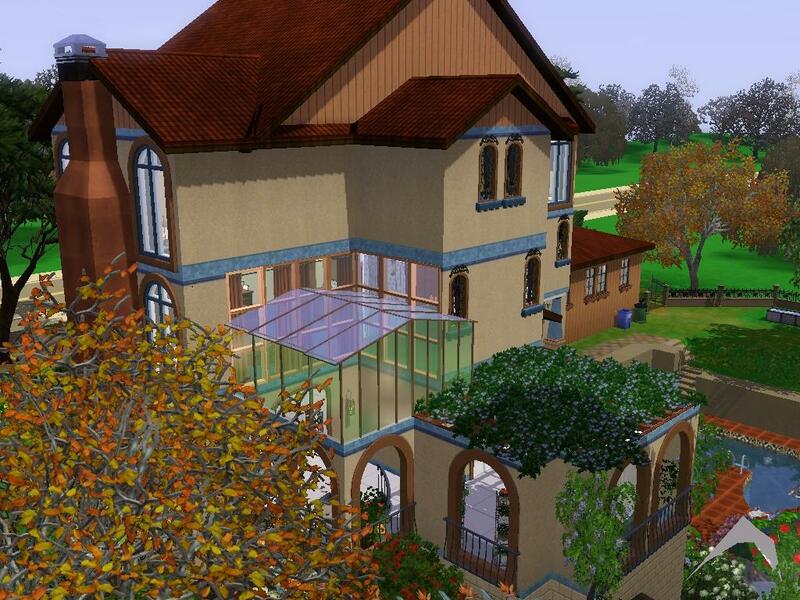 However, there weren�t any �ideal� spots to place it in Monte Vista for the story that was forming in my mind, so I set off to find an island that was suited for the build. 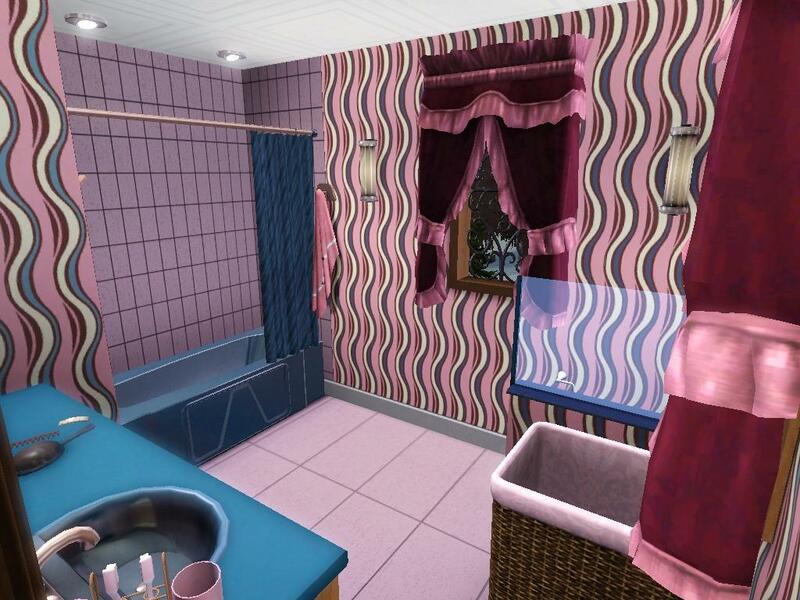 I found it in all places on the Sims 3 Exchange! It�s a beautiful, empty world that had all the necessary components of what I was looking for. 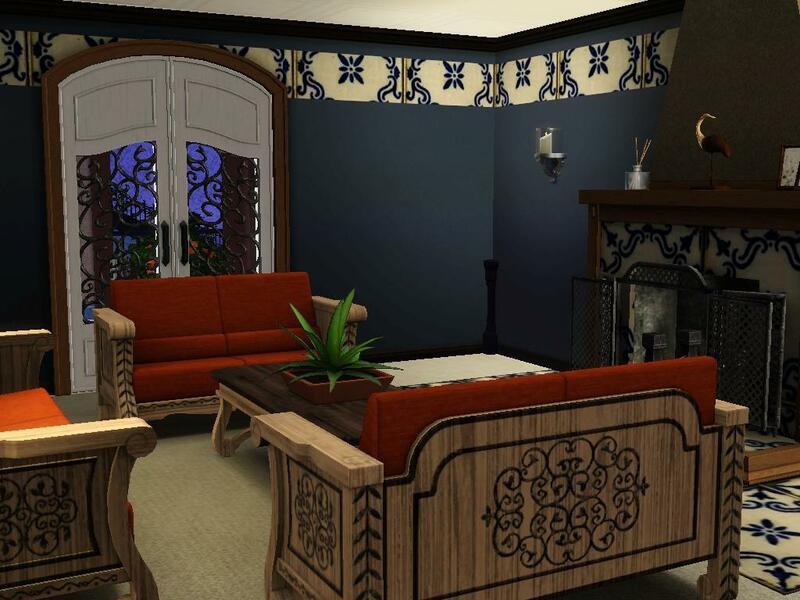 In order to create this home, it was also necessary to search high and low for Spanish-themed wall and floor patterns, furniture and objects. 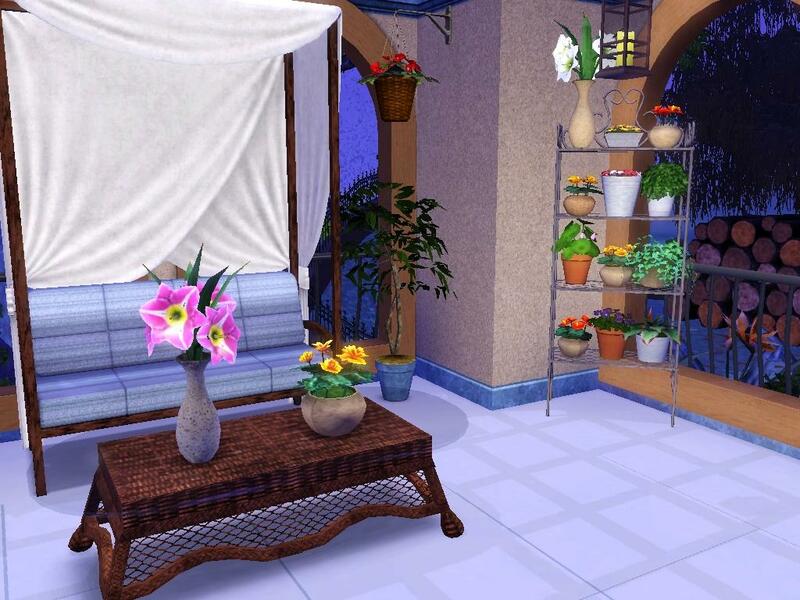 I also wanted to make sure I had the best objects to decorate the home as realistically as possible. Therefore, be warned---it is CC heavy. Granthes: OMSP � I finally learned how to use it! - D�cor including soap dish, boxes etc. 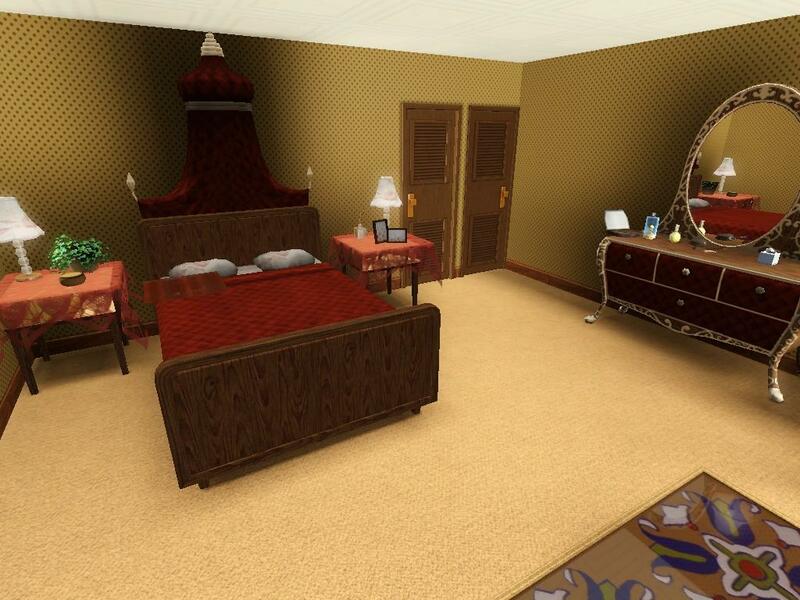 The rest of the pictures are either World Packs or made by me and my best friend. Rhett agreed it sounded like a solid plan, and asked what his role was going to be. Sabrina explained to him that she needed him to stay with Cara and Wyatt. �They will be safe and you will be too.� With that, Sabrina gave Rhett a good long kiss and said, �Wish us luck, my love�, and she, Piper and Professor Goodspeed took off in the Vorunda. What Sabrina didn�t tell Rhett was that in order for the plan to work, she would have to contact Don Solis and Agent Carson and arrange a meeting with both---without them realizing that it was a setup. Professor Goodspeed set about getting all the materials necessary for the potions and spells, Piper practiced her spell on Professor Goodspeed with mixed results�sometimes they received the lucky charm, and sometimes�..well, they just weren�t the same for a while�.. Meanwhile, Sabrina went to the old house in Moonlight Falls for one last look, and to pick up a few things they had forgotten. While in the attic, Sabrina heard someone moving around downstairs. She looked out the attic window and saw a strange black sedan parked at the end of the drive. Don Solis!!!! She frantically called the Professor and told him of her plight. He told her to sit tight. He was on his way. As she waited anxiously for Professor Goodspeed to arrive, she thought of all the years they had spent running from this man, and from the FBI. The more she thought about it, the madder she got. She threw the items in her hand across the room, and decided she had had enough! She was tired of fearing for her family�s safety from the likes of Don Solis, and she was tired of trying to hide from the FBI because all they wanted was Don Solis! They didn�t care about her safety, Rhett�s safety, or the safety of their children. She decided she would confront Don Solis right then. She had become a powerful witch. While she abhorred violence, she loved her family more. Before she got down the back staircase though, she heard the Professor�s car. She waited on the stairs to see what his plan was. The Professor wasn�t playing around apparently. With the wave of his hand, he threw Don Solis�s bodyguards halfway across the living room! He told Don Solis, �Enough is enough! You have terrified my goddaughter and her family long enough you hoodlum!� Don Solis reached inside his coat and at that moment, he froze in place! �What is this sorcery old man! ?� said Don Solis. Professor Goodspeed just smiled and said, �It�s a family heritage!� Without realizing what she had done, Sabrina had come out of the stairwell and ran in front of the Professor to shield him. She raised her hands as if to ward off an attack, but instead, she had frozen Don Solis�s movement!